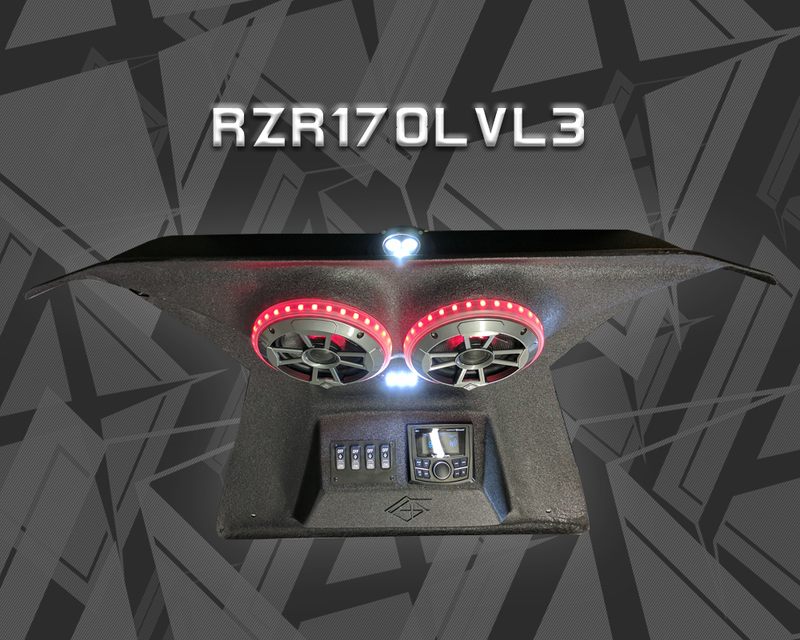 Little kids like to jam just like the big kids and AudioFormz has them covered with our RZR170 stereo top! 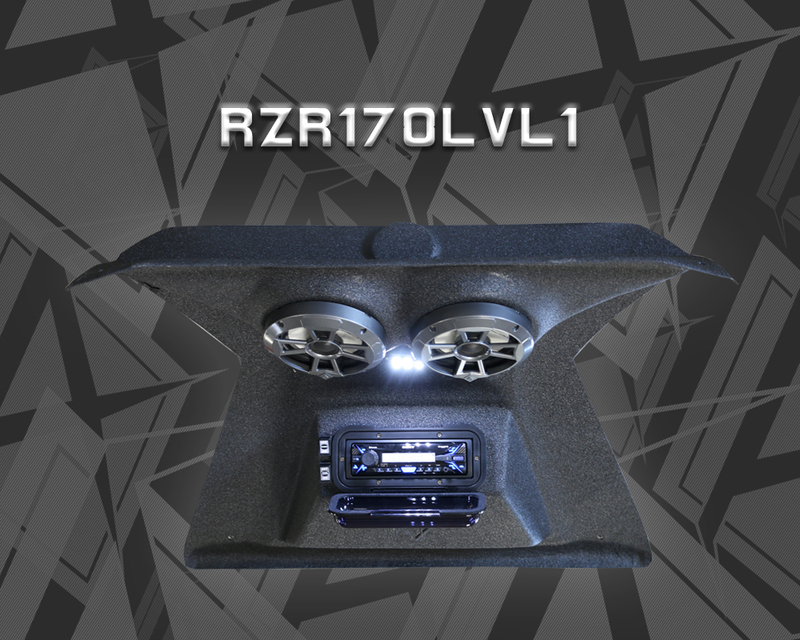 Our RZR170 stereo top offers the same features that we are known for with our big boy tops...solid fiberglass construction, flush mount front and rear LED lights, and a loud jammin stereo! Kids love flashing lights too and our EVO powersport speakers offer built in RGB LED lighting with optional light rings that will keep them entertained for hours. Like all of our stereo tops, installation is super quick and easy with common tools and a simple two wire hookup to the battery. So teach em young that nothing performs like AudioFormz! 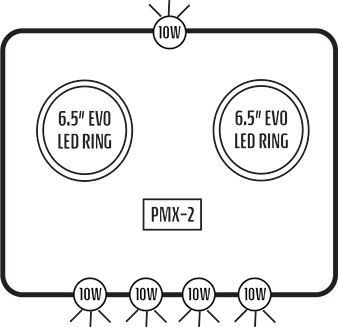 Optimum air space inside stereo top engineered for maximum bass response and overall sound quality that sets the standard in the industry. Comes standard with our new EVO marine and powersport speakers with built in RGB LED lights and 1" Titanium tweeters! 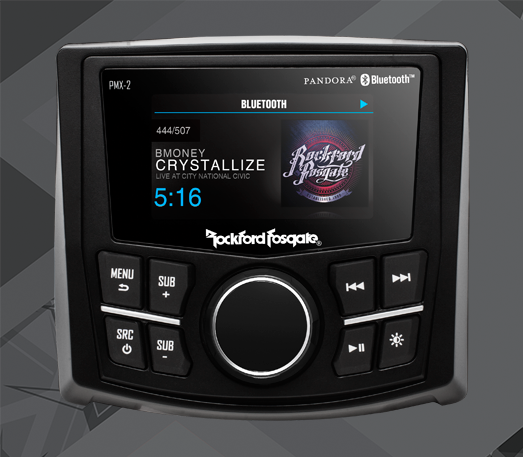 Wireless stream music from phone with our Sony, Rockford Fosgate or AudioFormz bluetooth players! Includes efficient flush mount LED dome lighting. LEVEL 1 - Top, Sony BT Radio, 2-Audioformz 6.5" power sport speakers. LEVEL 2 - Top, Sony BT Radio, 2-Audioformz 6.5" RGB led speakers, RGB remote, 4-Front 10W round LED lights, 1-Rear 10W round LED light. 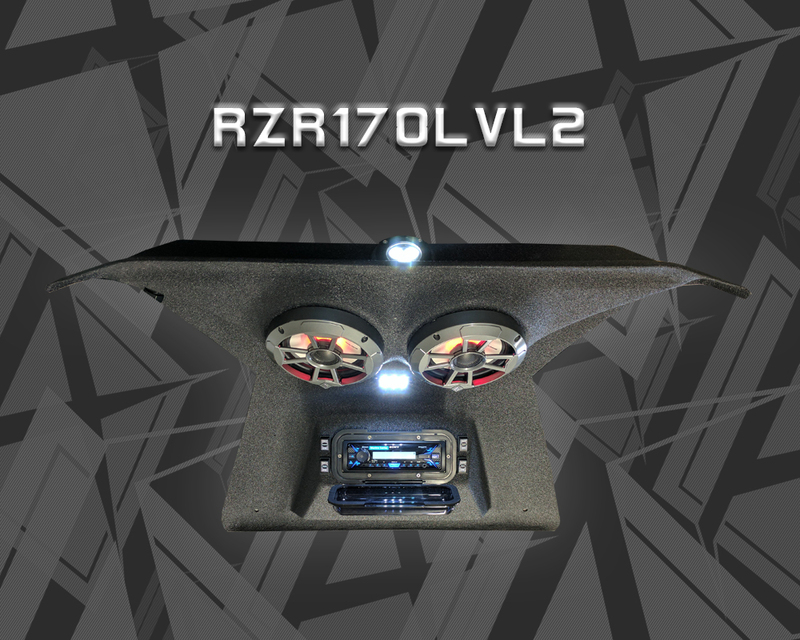 LEVEL 3 - Top, Rockford PMX-2 BT Radio, 2-Audioformz 6.5" RGB led speakers with RGB led speaker rings, RGB remote, 4-Front 10W round LED lights, 1-Rear 10W round LED light. Spot 10* and flood 60* options or combine for the ultimate night riding experience. 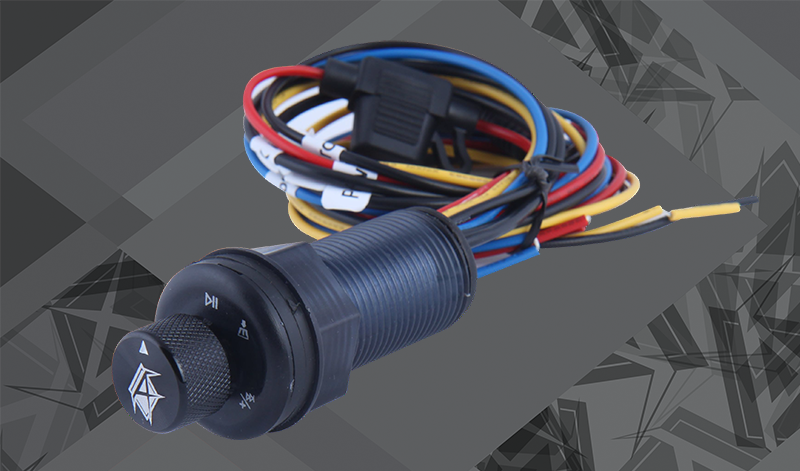 Top mounted controls and LCD volt meter to quickly monitor battery voltage. Powersport specific design to withstand the vibration and harshest riding conditions! Sony M50BT marine bluetooth media player with FM tuner and remote control. No subwoofer out. Radio cover required. Audio Formz, Inc. is not affiliated with or in any way associated with Polaris Industries or any other person, entity, product or organization. Reference in this web site to any specific commercial product, process, or service, or the use of any trade, firm or corporation name is for the information and convenience of the public, and does not constitute endorsement or recommendation by Audio Formz, Inc.